In the article How to get a Merchant Account/Requirements we already listed the “general” requirements to get a Merchant Account. Recently we helped a couple of clients through their application process and it proved to be slightly more difficult than anticipated. Hence it might be necessary to list a few more (requirements) – especially if you are applying for an Internet Merchant Account to sell your products and/or services online. Customer Service Contact Information, including customer service phone numbers and business address. Alternative contact information such as fax and / or email address. All policies must be stated clearly to inform cardholders of their rights and responsibilities. For example: If you, the merchant have a limited or no refund policy, this must be clearly disclosed to shoppers on your website before the purchase decision is made to prevent misunderstandings and disputes. Secure Check out. In your checkout processes you have functionality that protects customer data. For example you employ https:// functionality. Please provide a copy of your current business license. Please remove all free trials from your website. Missing Refund Policy & Privacy Pages are the most criticized items during the approval process, yet they can very easily be created. All Merchant Providers require your website to be active, or at least (if it is not publicly accessible yet) a link to the working demo site (they cannot review your Refund Policy and other items if you do not provide them with a link to your site). What I found particularly interesting when dealing with Provider #1 was that they made it an absolute necessity to remove the free trials that were available on the website. They reasoned it was to avoid chargebacks – take this into consideration when applying. All providers wanted to see SSL implemented before the approval. We successfully argued that we would NOT be able to obtain an SSL certificate if we didn’t have the Merchant Account first (Having an active Merchant Account is a requirement to be able to obtain the SSL certificate from Trustwave. Your Certification Authority’s requirements might be different.). 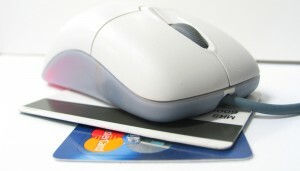 While over the past few years it has become a little bit more difficult to get an Internet Merchant Account, if you have all “your ducks in a row” – a good product, a professional website, a business plan and a good team that can implement all the requirements, your approval should be only a matter of time. Nina Khoury is a computer scientist, software engineer, data and information junkie and online marketer. She taught at various universities for more than six years and worked on projects for Fortune 500 companies including cisco, Intel and HP.